This will be the last post for this year. I will start again early next year. 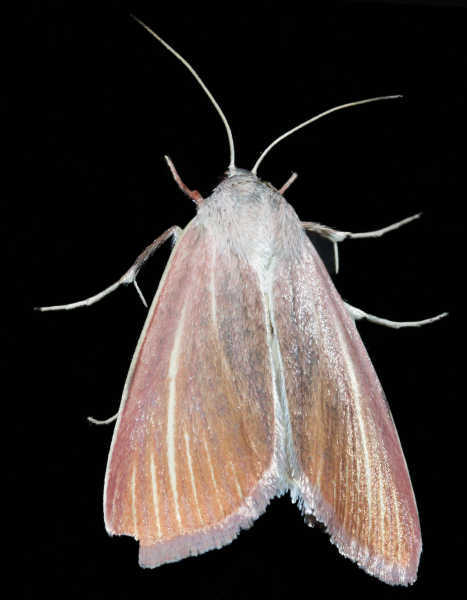 I will be spend some time trying to identify the hundreds of moth photos that I have not had time to look at. Thank you to all the people who are kind enough to keep coming back to view this blog, and the few who have written to me, I hope it has given you some pleasure. I have certainly learnt a lot from all the research necessary to do an article. I originally had this identified as Heliocheilus tenuistria HELIOTHINAE NOCTUIDAE but it seems to be incorrect now. The preferred name is Heliocheilus eodora. The wingspan is about 15 mm. 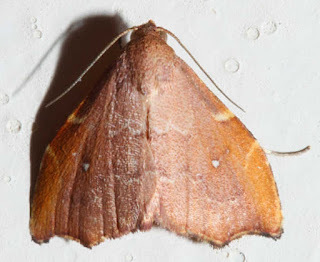 Although not listed as a synonym, the moth Enispa plutonis, in Moths of Australia, (Common P455 and Fig 47.12), appears to be the same moth and is likely that it has had a name change. The larvae are interesting in that they live in spiders webs and eat the leftovers from the spiders along with other detritus. Apparently the spiders don't mind them and they are not affected by the sticky threads. Have a moth-ful Xmas, Don!